Has a good girl gone bad or is it just a classic case of opposites attract? Ebony Pearson has not had an easy life. After her mother dies from AIDS, Ebony is forced to leave her hometown of Atlanta, Georgia and move to Rochester, New York to live with her aging grandmother. Being a survivor, she quickly takes on a part-time job and becomes like a mother to her younger sister Kayla. 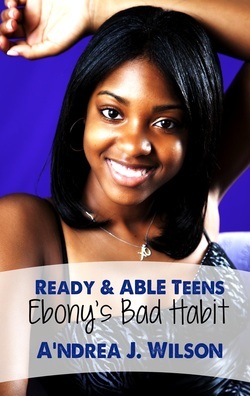 Determined to make something positive out of her life, Ebony joins ABLE (Adolescent Black Leaders & Entrepreneurs), vowing to keep her grades up and her nose clean . . . that is until she meets Jaylen Tisdale. Jaylen is cute, fun, has a nice car, and is seemingly supportive; however, the word on the street is that he is nothing but trouble. Ebony's best friend Fawn is certain that Jaylen is bad news and is willing to sacrifice everything to protect Ebony, including their friendship. In the midst of school, work, problems at home, an upcoming talent show, a budding relationship, and a dying friendship, Ebony just wants to escape . . . and thinks she might have found the perfect way to do so. Life is full of risks, but what risks are worth taking? Desiree Robinson is ready to take on the world. A high school senior, open mic host, and publisher of a teen newspaper, she seems to have it all together. 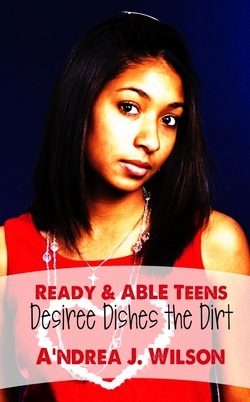 But a distressed call from a student from another local high school brings Desiree's perfect life to a screeching halt. Accusations of racism and prejudice demonstrated by a teacher emerge and Desiree is determined to get to the bottom of the story. Using her publication, she begins writing articles that unfortunately solicits some unwanted attention. In the midst of the newspaper drama, sparks begin to fly between her and her male best friend, Martel, making Desiree's life even more complicated. Is dating her best friend worth ruining the friendship? Can printing the truth destroy Desiree's future in publishing? And will Desiree's articles jeopardize ABLE's upcoming Unity Walk or be the student voice the city needs to hear?